Hello readers, today I am going to review the Bio Bloom Dandruff Control Kit, which I received in my July Fab Bag. The kit includes two products – Dandruff Control Oil and Dandruff Control Cleanser. I have pretty thick, below shoulder length hair and dandruff & itchy scalp are my main concerns in the monsoon season. 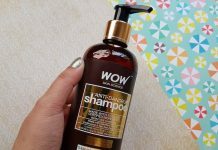 I have tried many anti-dandruff products from different brands, some worked and some didn’t. 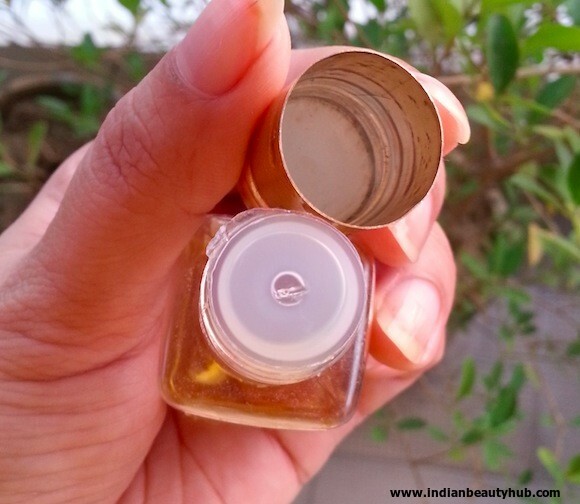 I really like Bio Bloom products, as they are natural and free from harmful chemicals. I got 30ml sample of oil and 50ml sample of cleanser. 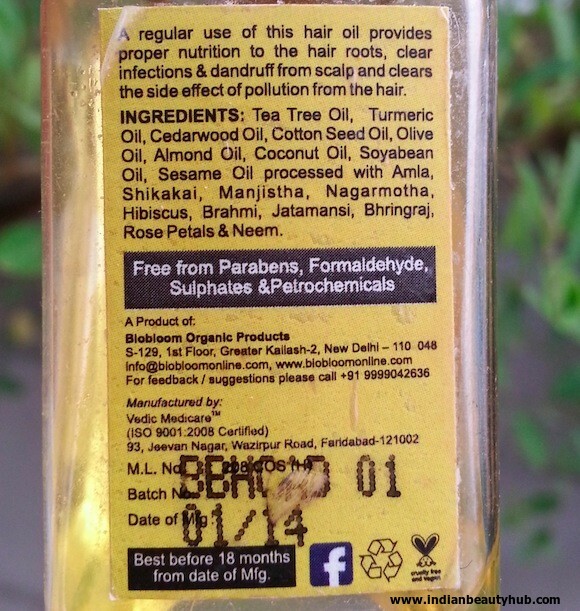 After using this anti-dandruff solution for some time, today I will share my views about it. 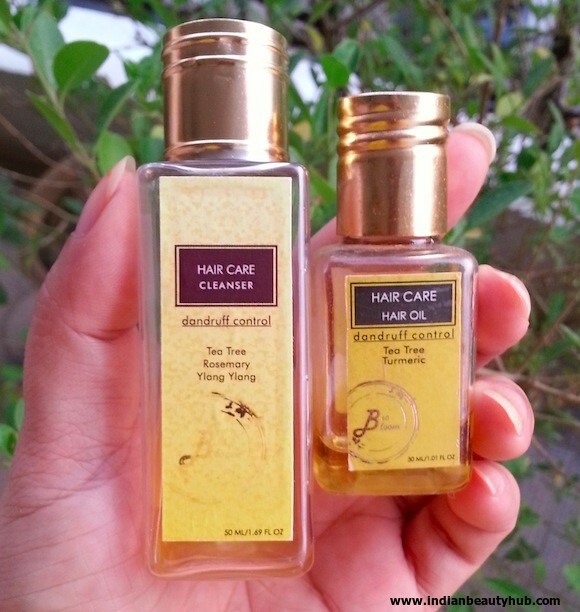 Packaging: Both hair oil & hair cleanser come in transparent plastic bottles with golden screw caps. The packaging is spill-proof, convenient to use and their compact size makes them travel-friendly too. Price & AVialability: The price of the Bio Bloom Anti Dandruff Solution kit is Rs.1159 for (200ml cleanser + 100ml oil). You can buy Bio Bloom Anti Dandruff Solution kit online from shopping.biobloomonline.com. 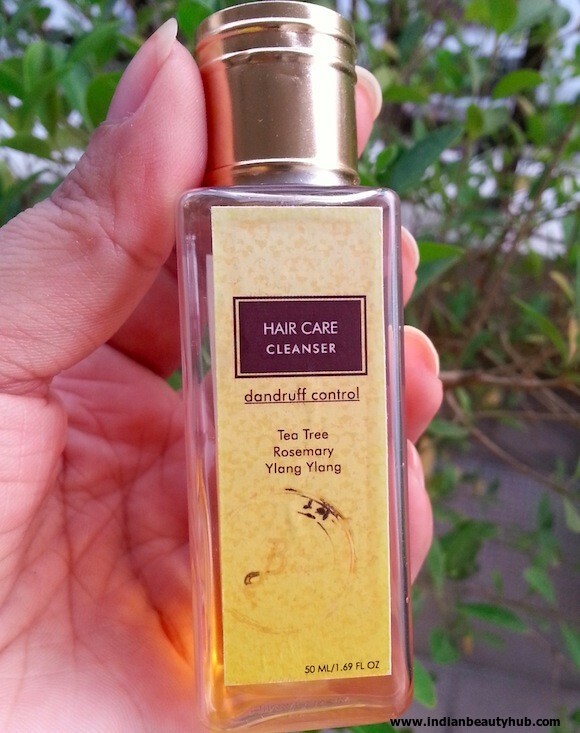 The dandruff control oil comes in a golden color and has a strong tea tree fragrance. It is enriched with some of the amazing natural ingredients like tea tree extract, turmeric, almond oil, olive oil, sesame oil and coconut oil. I generally massage this oil onto the scalp with my fingers and leave it in for an hour or two and then wash it off with a hair cleanser. It gives a cooling sensation to the scalp and is very effective in reducing the itching. It can be easily washed off with shampoo. It didn’t cause any irritation to my problematic scalp. 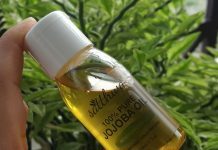 This oil is free from harmful chemicals like Parabens, Sulphates, and Petrochemicals. 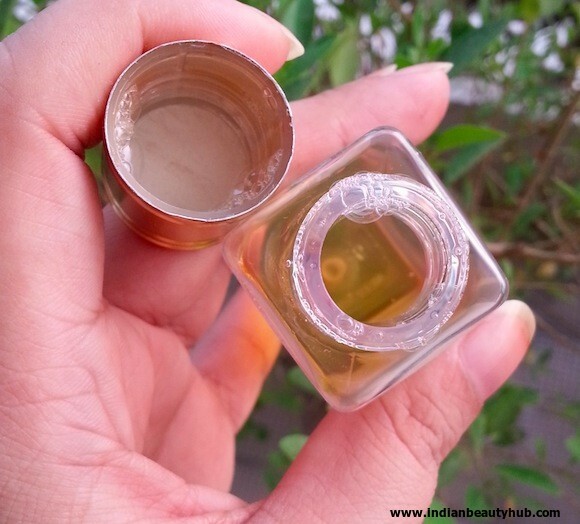 A small amount is required during each use and this 30ml sample is good enough for 8-10 usages. Its strong fragrance gives me headache if I leave it for more that 2 hours. Bio Bloom dandruff control cleanser comes in a golden yellow color and has a runny gel like consistency. 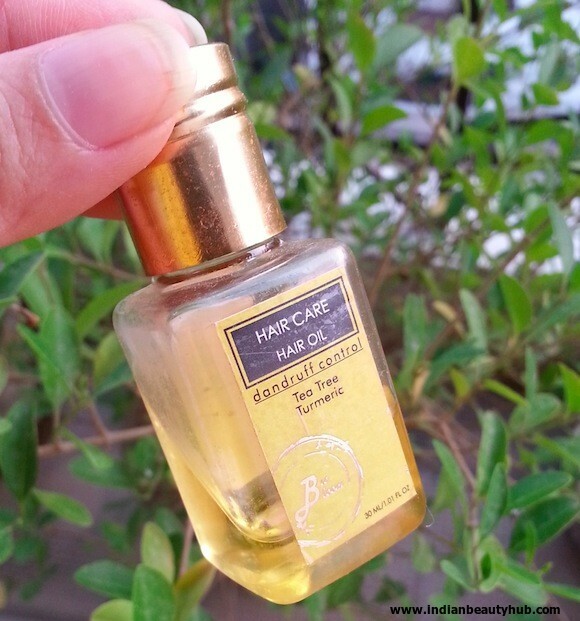 It has a pleasant rosemary & tea tree mix fragrance which is not very strong (unlike oil). I generally take a generous amount of this cleanser and rub it first on my scalp and then apply it on my hair. 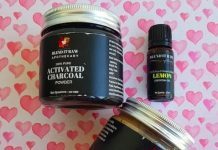 It lathers pretty well and can be rinsed off easily. It removes all impurities from the scalp & hair and doesn’t leave any residue behind. It gives cooling sensation when applied and its soothing aroma helps to relax the mind. It provides adequate moisture to the scalp & hair and helps in controlling frizz up to certain extent. It is quite effective in preventing dandruff & itching. I didn’t notice any hair fall after using this cleanser. 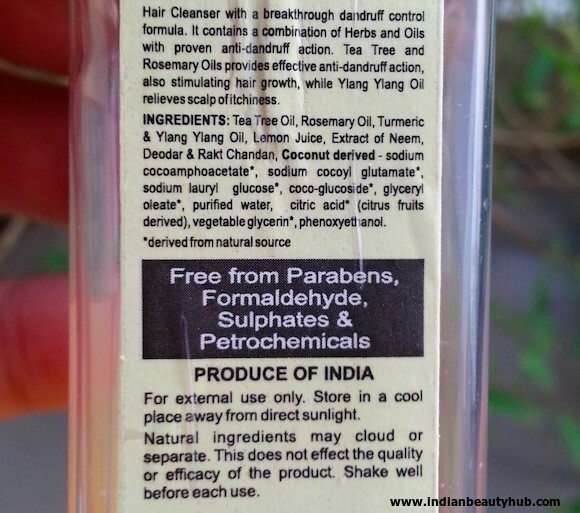 It is enriched with natural ingredients like tea tree, rosemary, ylang-ylang, turmeric, lemon & neem extracts, etc. This dandruff control cleanser is free from all harmful chemicals and is suitable for all hair types. It is very long lasting, as a little amount is required during each use and this 50ml bottle will easily last for 8-10 usages. It makes my hair a little greasy. Some people might find it a bit expensive, (but it is worth every penny :) ). Overall I really liked Bio Bloom Anti Dandruff Solution. It worked well for my scalp and kept away itching & dandruff from my scalp. This oil & cleanser combo is free from all harmful chemicals and makes hair strong & healthy. If you are suffering from itchy scalp or dandruff, these are must-have hair care products. I strongly recommend this kit to everyone and will definitely buy it to use it again.